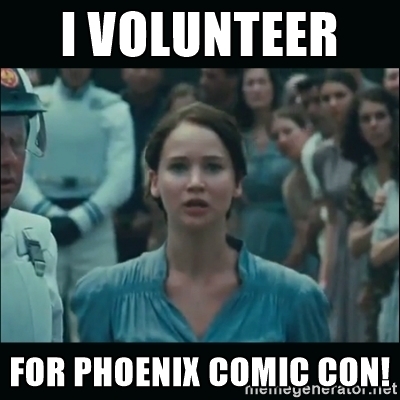 For anyone heading to Phoenix Comicon next week, we want to make sure you know to stop by and say “hello” to us. At 4:30 p.m. Saturday Chelsea and I will be at the BIOSKELETONS, NEUROTRANSMITTERS, SYNETHESIA: MEDICAL SCIENCE IN SCI-FI panel! 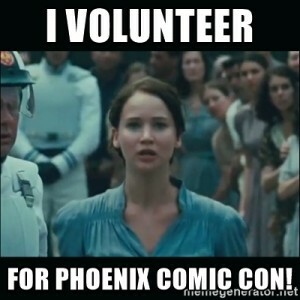 One of our Geeky Giving authors, Michael Martinez, is already scheduled to join us. If you haven’t read Michael’s excellent story from the March bundle, “Mind Flight” yet, you really should. I mean, fighter pilots with symbiotic relationships with their jets? Yes. I’ll take more of that please. We’re planning some surprises if you visit and have some fun swag to giveaway. Plus, we’re just really fun to drink, er, I mean hang out with.